The death of 26-year-old Aaron Swartz is drawing fresh attention to the risks of depression. 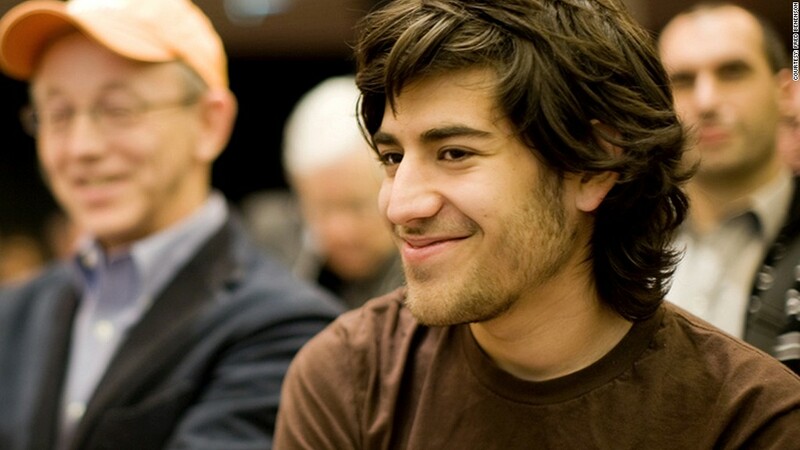 The suicide last week of Aaron Swartz, a prominent Internet developer and activist, is sparking a discussion in Startupland about an issue that's rarely publicized: the prevalence of depression in the tech community. Swartz struggled for years with the mental health disorder, and wrote about it occasionally in his blog. "I feel ashamed to have an illness," he wrote in a 2007 post. "It sounds absurd, but there still is an enormous stigma around being sick." Silicon Valley doesn't generally nurture the sick. Especially for entrepreneurs and those helping to build their startups, the tech industry is a high-risk, high-reward environment, with 20-hour days and millions of dollars at stake. Ben Huh, CEO of the Cheezburger Web humor empire, wrote publicly about his struggles after his first startup failed. "I was thoroughly broke, depressed, and feeling the burden of losing hundreds of thousands of dollars of other people's money," he wrote in his blog. "I spent a week in my room with the lights off and cut off from the world, thinking of the best way to exit this failure. Death was a good option -- and it got better by the day." Huh posted his story in the wake of another suicide that shook the industry: The late 2011 death of Ilya Zhitomirskiy, the 22-year-old co-founder of social network Diaspora. Zhitomirskiy battled depression all his life, and the pressure of building a startup that never took off weighed on him, according to those close to him. Swartz's death is sparking a fresh round of soul-searching. "It's a major issue, and it's one of the least talked about things in the Valley," says serial entrepreneur Sam Altman, who was a Y Combinator classmate of Schwartz's. "The emotional rollercoaster is very lonely, and the downtimes are really down." Y Combinator is the incubator where Swartz hatched a venture that folded into what later become Reddit. It provides fledgling entrepreneurs with mentors and guest speakers, and many of them now touch on issues of mental health and stress, Altman says. "You think 'how low can the lows really be?'" he says. Venture capitalist Ben Horowitz tried to answer that question last summer in a widely circulated post called "The Struggle." The Struggle "is when you want the pain to stop. The Struggle is unhappiness," he wrote. "When you are in The Struggle, nothing is easy and nothing feels right. You have dropped into the abyss and you may never get out." While those who face The Struggle don't necessarily struggle with depression, many do. I've interviewed many entrepreneurs who have built multi-million-dollar companies. One recently told me about a day when he simply locked himself in his office and cried. Related story: What do we know about mood disorders? Investor Brad Feld, who has battled an anxiety disorder all his life, says one the hardest things for those fighting the disease is opening up about it. "Many entrepreneurs don't feel like they can talk openly about their depression, as they don't want their investors, employees, or customers to know they are struggling with it," he says. "For anyone who has been depressed, not being able to be open about it with the people around you makes depression even harder to deal with." Depression is what psychiatrists classify as a mood disorder. It's a condition in which "mood gets stuck," according to CNN mental health expert Dr. Charles Raison, an associate professor of psychiatry at the University of Arizona in Tucson. Here's how he describes it: "While most of us feel better or worse based on what's happening in our lives, but always within limits, people with serious mood disorders often remain frozen in states of profound despair or unrealistic euphoria for extended periods." Swartz had his own description of what it felt like: "You feel as if streaks of pain are running through your head, you thrash your body, you search for some escape but find none," he wrote. "And this is one of the more moderate forms." Still, he was determined to keep pushing himself forward: keep hacking, keep moving. "Go out and test yourself today: pick a task just hard enough that you might fail, and try to succeed at it," he advised in one blog post. "Reality is painful -- it's so much easier to keep doing stuff you know you're good at or else to pick something so hard there's no point at which it's obvious you're failing -- but it's impossible to get better without confronting it." Swartz's family, friends, and the collective Internet community will always ask themselves what projects he would have taken on next. As Tim Berners-Lee, inventor of the World Wide Web, tweeted in tribute: "Aaron dead. World wanderers, we have lost a wise elder. Hackers for right, we are down. Parents all, we have lost a child. Let us weep."